Well hello! It's been a while hasn't it?! 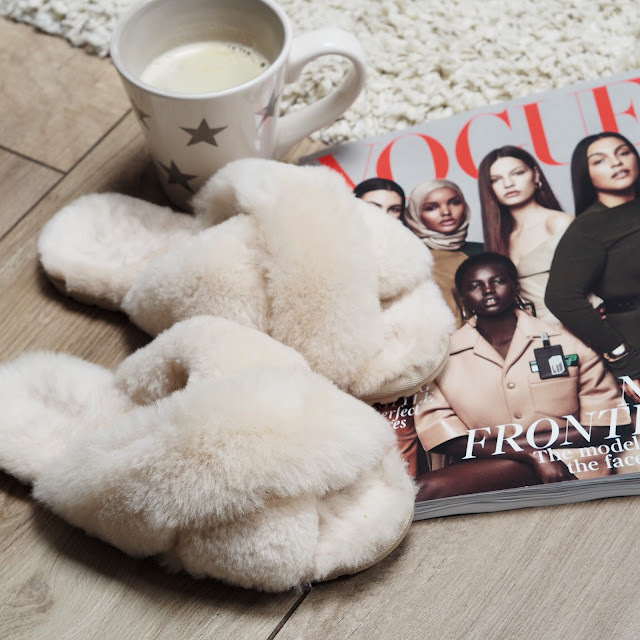 So Christmas, New Year, a house move and a whole load of other things have passed and here we are back with a new blogpost and I promise I won't leave it so long next time! The good news is that during this 'time out' from the blog I have been trying new products in an abundance and have bought some new things to update my wardrobe, soooooo for my first post in a while I'd come straight at you with the things I've been loving the most. 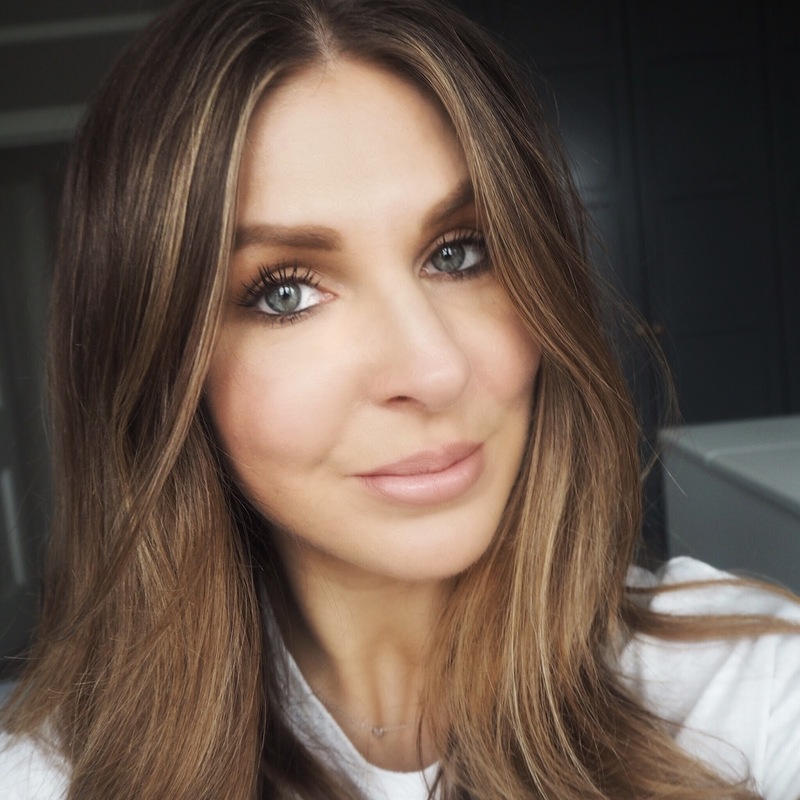 BUT...this hasn't stopped me persevering and has actually opened my eyes to some really effective and great products aimed at sensitive skin. 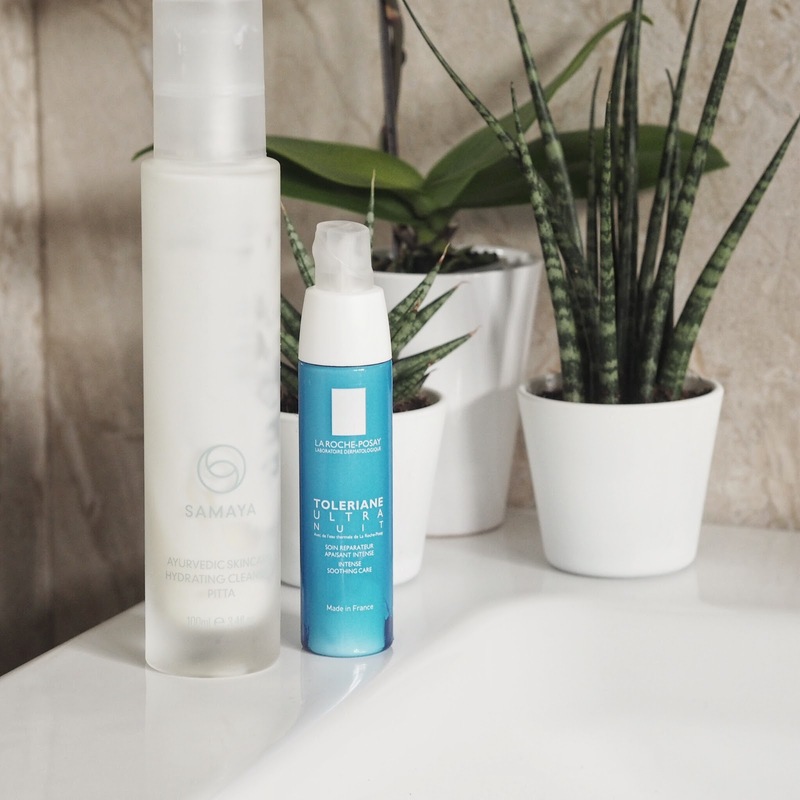 Firstly let's talk about the Samaya Hydrating Cleanser (my specific skin type for this range of products is 'Pitta' - not to be confused with bread version!). I've been using this for some time and find it so soothing and calming for my skin. 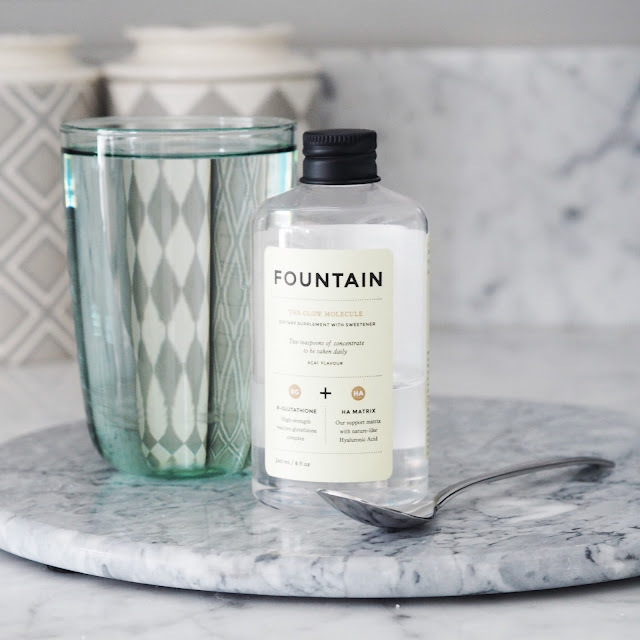 It also removes makeup remarkably well and did I mention it also comes in a gorgeous glass bottle that looks fabulous on the bathroom shelf! Samaya is an all-natural skincare brand based on Ayurvedic principles and you can read more about it and purchase using the link below. It's not the cheapest, granted but this bottle has lasted such a long time and you only need a little bit. I'm keen to try some of the other products in the range based on the success of this one. La Roche Posay is a skincare brand I've dabbled with in the past and I used to be an avid user of their Serozinc (I'm not actually sure why I stopped using that, note to self - must purchase another bottle!) and after using this night moisturiser from the 'Toleriane' range I'm really impressed because this little blue bottle has completely cleared the persistent rash I kept getting on my forehead and has really calmed my skin down. I'd recommend looking into this brand if you have skincare issues because there's something to tackle all skin complaints and it won't break the bank either. Fantastic stuff and something a bit 'different'! Ok, so very basic and cheap and I only really discovered this because I've been suffering from a couple of small patches of eczema but this stuff is fantastic for four reasons. 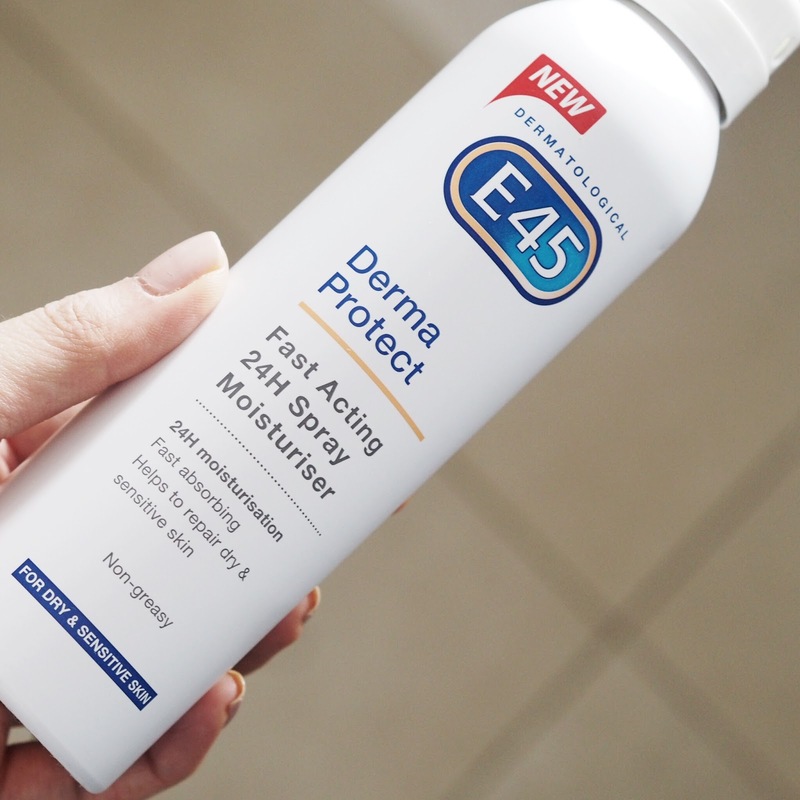 It's super moisturising, it's so easy and quick to apply (spray it all over yourself and quickly rub it in), it's scent-free so won't interfere with the smell of your perfume and lastly it seems to last twice as long as other spray-on moisturisers. I love it and use it in the morning after showering. No link for this one but you can grab it in your local Boots. 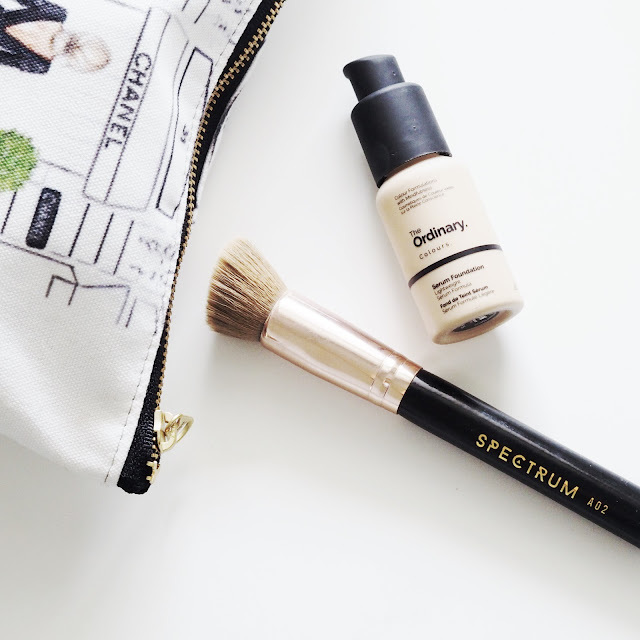 Discovering Spectrum Brushes has been a highlight of 2018 and this brush in particular (the A02) is my absolute favourite for applying foundation. It's just the right density and because it's angled gets into all the little corners with ease. I feel like it's the perfect brush for applying base. Ok, so now for the foundation that I've been wearing for nearly two months non-stop. It's The Ordinary Serum Foundation (you know the one that sold out and was impossible to get hold of when it was first released!). So. Much. Love. For. This. "So. Much. Love. For. This"
It's a watery texture that feels as though it will cover nothing when you pump a bit onto the back of your hand but it certainly packs a punch when it comes to pigment and a little goes a long long way (tip - don't use too much because you can risk looking 'cakey' despite the light texture) When applied properly it genuinely looks like skin and after a few minutes of wear has a glowy finish to it that I'm really liking a lot. The shade range is a bit of mine field (so much choice) but I find 2.0N a good match for me. 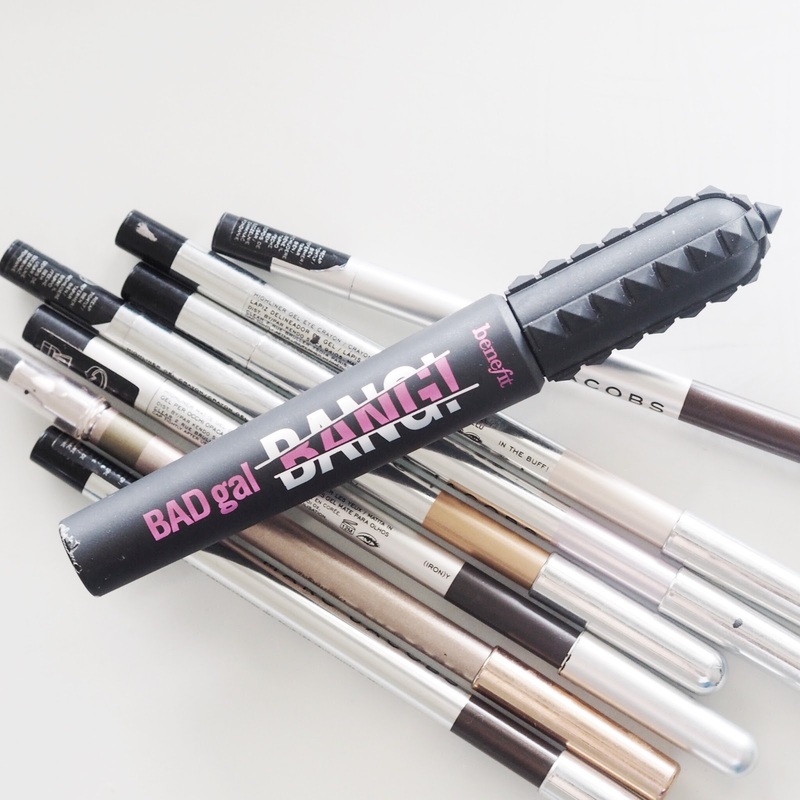 As much as I detest the packaging for this mascara I had to give it a mention because honestly, despite the hype that has been produced by the new Benefit Bad Gal Bang Mascara (some people love it, some people hate it) I'm actually really rather fond of it! I love the consistency and how it separates but adds volume (admittedly it is easier to use a a couple of weeks after opening it) but lasts all day and doesn't smudge or flake at all. 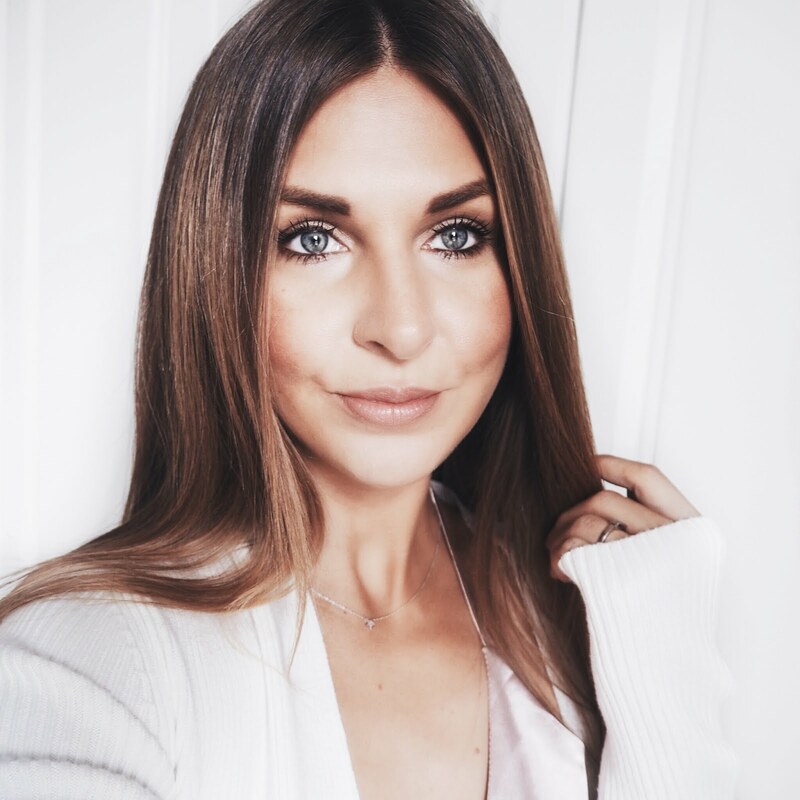 It's one of the best mascaras I've used for a long time and I've had so many of you comment on my lashes in the last few months and it's been all down to to this!! I traded up my Zara version for a vintage Burberry trench from eBay a few months ago (I got a bargain) and have worn it so much in the last few weeks. It can be worn with smarter outfits like suits, work attire but equally looks great dressed down with a pair of jeans, trainers and a simple white t-shirt. I'd definitely recommend getting one and the likes of Zara, ASOS, Mango and Topshop are usually great places to find items like this. Sorry not sorry. Yes, I'm featuring a pair of slippers because you know what? They are definitely one of my favourite items of clothing at the moment! I had a pair of sheepskin slippers in the Winter that I wore so so much that I thought I'd update them with a Spring / Summer appropriate pair. This is the way I view it (aka justification for spending £50 on something that only gets worn at home!) Slippers get worn every day right? and rather than popping to M&S and paying £15 for a pair that I have to replace every couple of months I'd rather invest in a decent pair that lasts and look good! These Emu Mayberry slippers are open toe but keep your feet warm and I love them. So there, I'm a granny at heart and I don't care! I picked this up personalised phone case from My Personalised Case where you are able to make your own phone case using what ever design or photo you want. 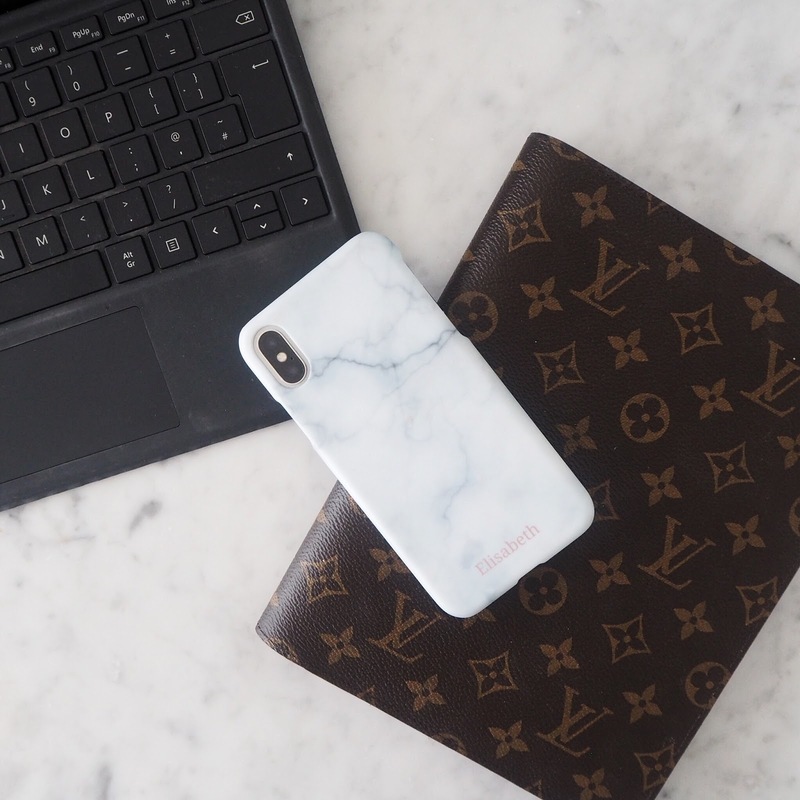 I chose a white marble background and popped my name on there too (in case I forget it obviously - haha!) This is available for most types of phone and also tablets.